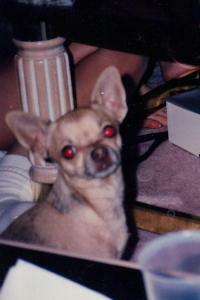 When I was younger, our family dog was a Chihuahua named Mickey, and we did everything wrong with him! He was an aggressive little terror that we spoiled to no end–and it was little surprise that my friends soon dubbed him, “The Devil’s Spawn.” But he was our little spawn, and our family loved him to pieces, and we all mourned when he finally crossed Rainbow Bridge after an amazing 17.5 year run on Earth. 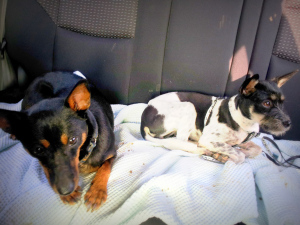 As an adult, I knew I wanted to raise my own dogs, but I vowed do things differently. I read books, I talked to trainers, I watched countless YouTube videos, and then I set up (and stuck to) ground rules for my pups.